This week, we’re continuing our series on maps that highlight the links between community development and health. What should be in your case-making toolkit for cross-sector collaboration? As we heard from our community development colleagues back in June, certainly, heat maps like this one showing life expectancy in New Orleans. Why We Like It: It’s a clear picture of how place matters for health. If a few miles can shorten life expectancy by decades, we need more cross-sector collaboration to improve neighborhoods and the lives of people living in them. 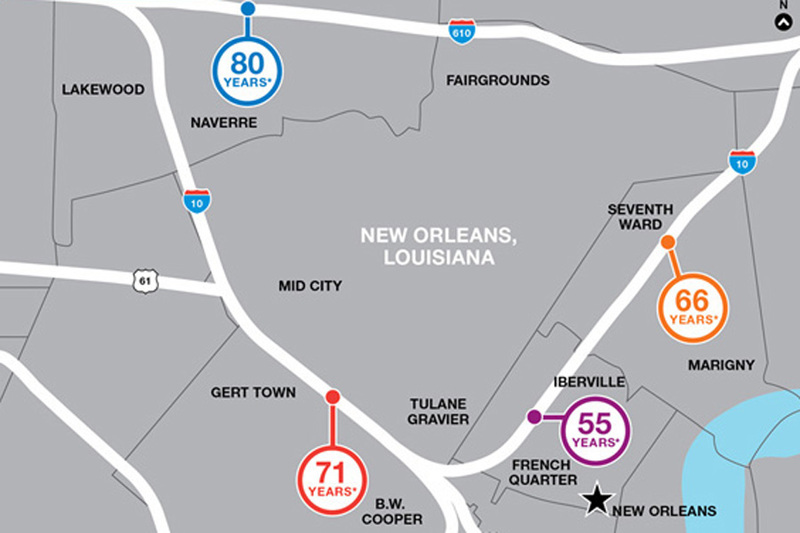 Where You Can Find It: You can find the New Orleans map in the Robert Wood Johnson Foundation’s City Maps library. 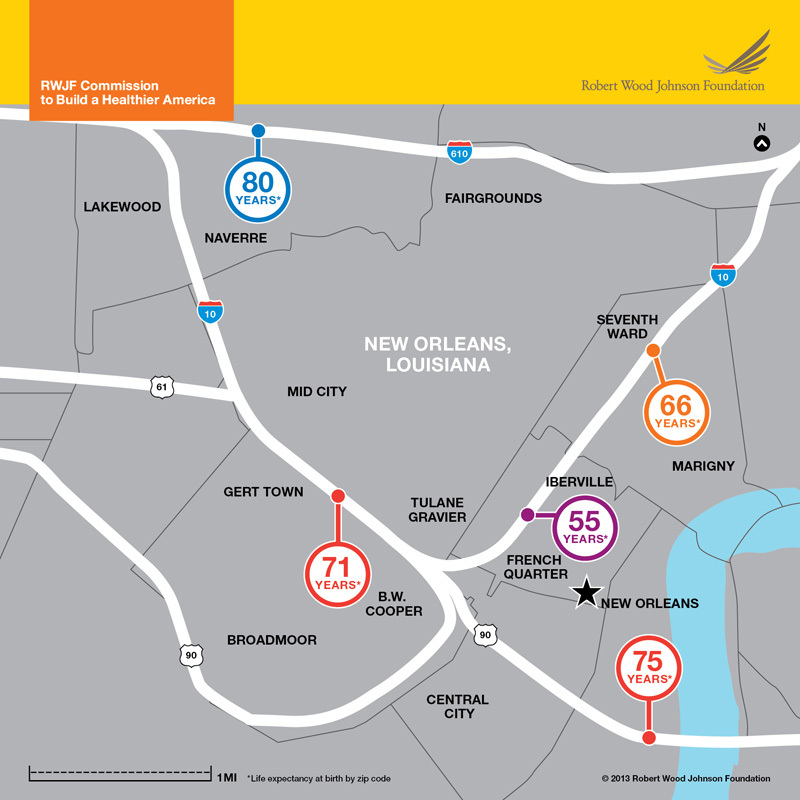 Peruse life expectancy maps for other cities and check out the latest in this map series in RWJF’s Maps to #CloseHealthGaps. This map was prepared by the Virginia Commonwealth University Center on Society and Health for the RWJF Commission to Build a Healthier America.